This 12 x 6 juniors soccer goal has been designed with durability in mind. 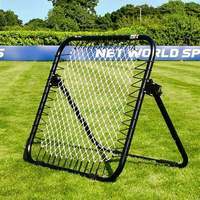 Manufactured from 42mm galvanized steel, this high value soccer goal is built to last and capable of handling regular use without becoming damaged. 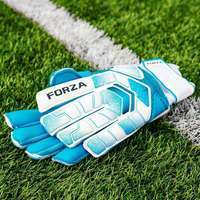 The modern looks of the steel goal will make a striking addition to your set up. 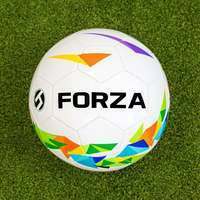 Standing at 12ft x 6ft, this soccer goal is specifically tailored towards players under the age of 11. 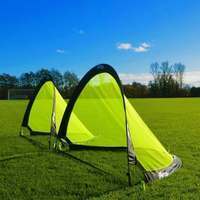 Whether they're engaging in mini-soccer matches, or developing fundamental skills in the backyard, this versatile soccer goal for juniors will enhance the experience with its high quality manufacturing. 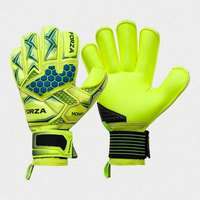 Don't let blustery winds and soaking conditions draw the game to an early conclusion. 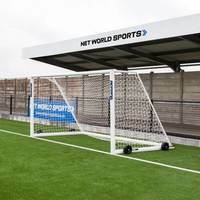 The match-winning combination of steel goalposts and a UV stabilized net provides supreme protection against unfavorable weather, allowing the goal to be let fully assembled outdoors all year long without damage. 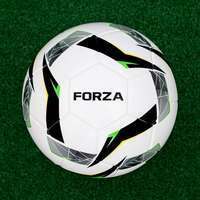 Mini-Soccer is a smaller sided version of the sport we all know and love, offering a taster of the beautiful game to enthused youngsters. 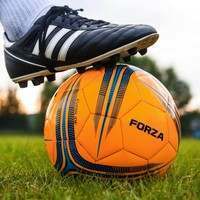 Whether you’re looking for a strong soccer goal to host junior matches, or a premium option for backyard training sessions, this 12 x 6 steel soccer goal fits the bill. 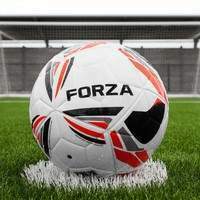 Shunning tradition in favour of sleek black goal posts, the Steel42 is a soccer goal of two halves, offering premium quality materials for durability while also being easy on the eye. 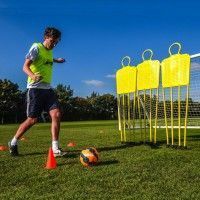 This 12 x 6 soccer goal for juniors has been manufactured from high quality 42mm galvanized steel, harnessing the strength needed for regular use. 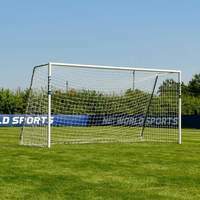 The fully freestanding soccer goal is durable enough to perform on the matchday pitch before retreating to the backyard for training sessions without becoming damaged. 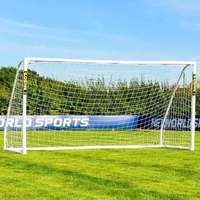 Having been finished in a classy black, the goal posts can be left assembled outdoors all year round without falling foul to the elements, offering a weatherproof solution for soccer in all seasons. 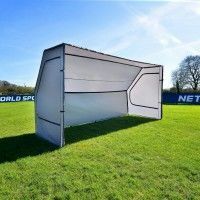 Highly durable yet light in weight, this soccer goal is perfect for coaches looking to enhance junior training sessions. Its freestanding design negates the need to permanently root it into the ground, while its portability means its position can be easily moved when carried by two people. 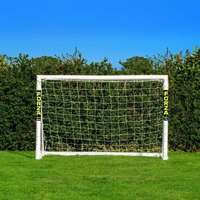 The durability and versatility of this top quality steel soccer goal allows it to stand up to the task of repeated collisions and wear and tear without becoming compromized. 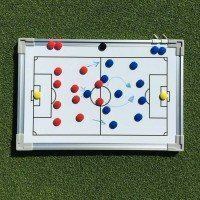 Step your junior mini-soccer matches up a gear with this premium 12 x 6 soccer goal. 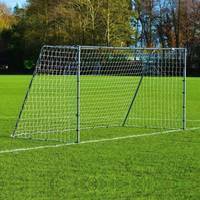 For the full package, a professional quality 3mm thick goal net comes as standards. 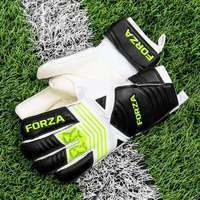 UV stabilized and fully weatherproof, the net won’t fall foul to rot or fraying during the course of the season, providing consistent performance to mirror the standards set by your players. Attaching the net is a breeze thanks to the included bungee net cords, ensuring that it stays securely fastened under the weight of full strength strikes. The website says something about 1 day shipping. Is that free? 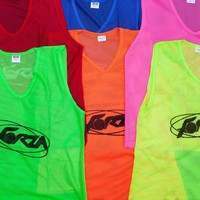 Thank you for your question, i'm afraid this service isn't free if you add the item you are interested in to the basket, it will then provide you with the different shipping options and prices. If you have any questions please do email sales@netwolrdsports,com who will be happy to help.